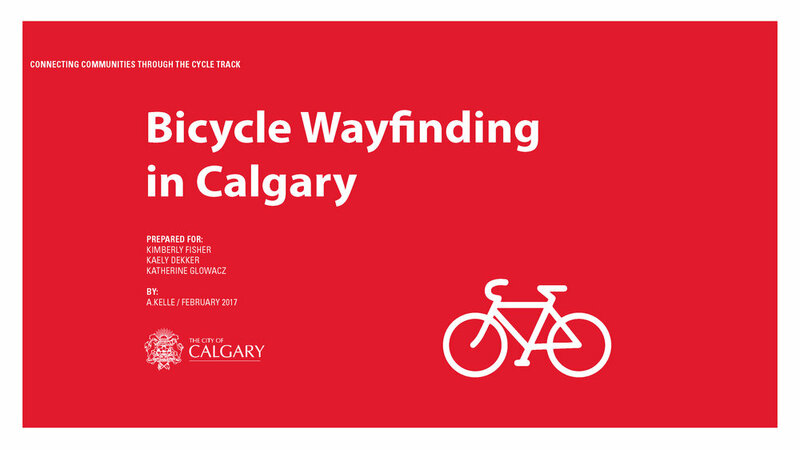 In 2017, I delivered a presentation to the Transportation folks at The City of Calgary on bicycle wayfinding. The presentation offered background on Calgary's existing cycle track network, and using lessons learned from cities around the world, suggested wayfinding solutions to enhance the cycle track's growth. 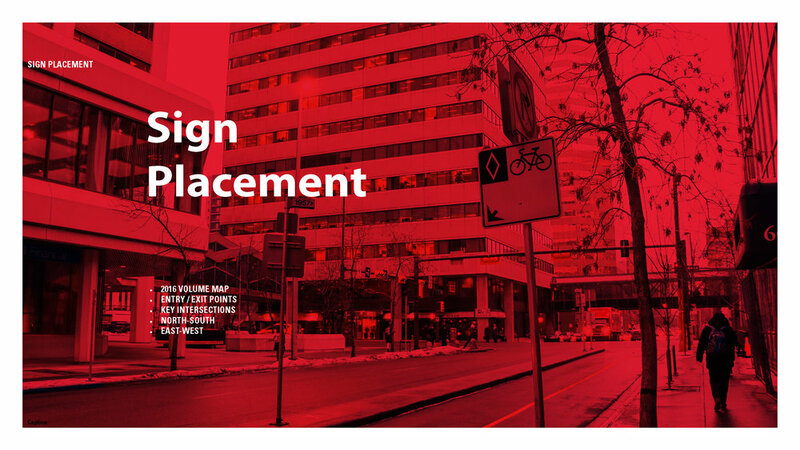 Bicycle Wayfinding in Calgary, presented to The City of Calgary, 2017. The presentation focused on four different users of the cycle track network. 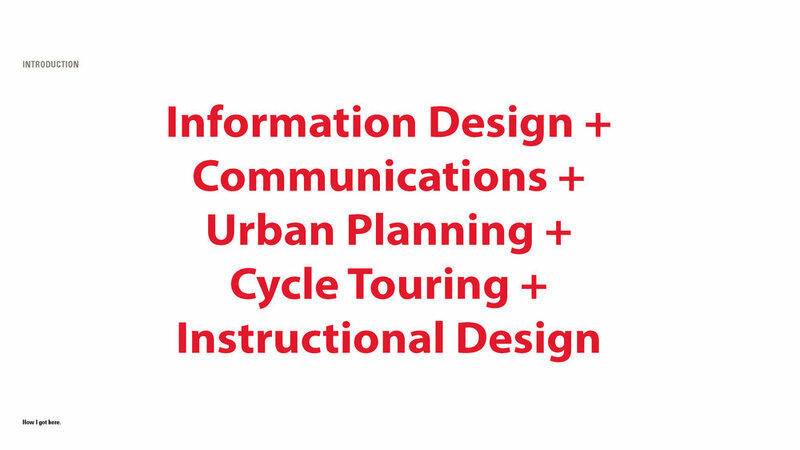 The presentation discussed each of Calgary's existing cycle track types. 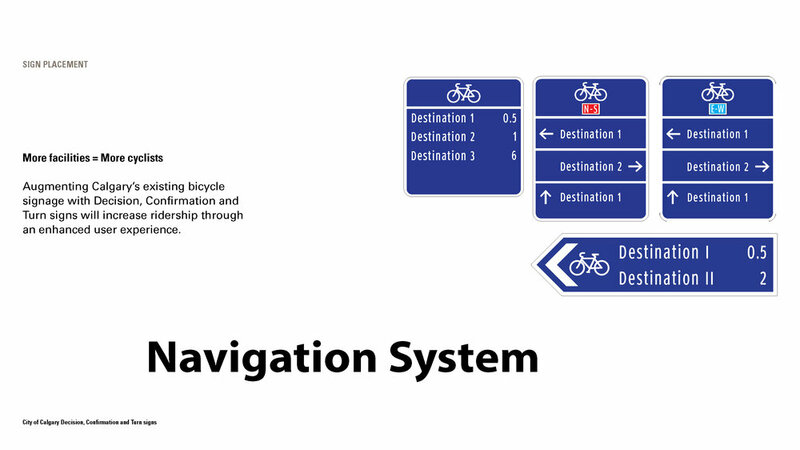 The presentation covered key Wayfinding principles and how they apply to Calgary's cycle track. The presentation covered three types of sign. Key destinations are categorized as being 'nearby', 'medium' and 'far' distances. Each sign design is to spec.